I am very picky with what I take for lunch to work or uni ! After almost 6 years of living in the Netherlands, I still could not get used to this Dutch way of lunch! They have “broodjes” which means breads/sandwiches… EVERYDAY! But please do not imagine any fancy and delicious sandwich because it is not! What they bring are peanut butter bread, Gouda cheese bread, or ham and cheese bread. And I am talking about dry bread with exactly those ingredients and nothing more! I am so happy for them that something that simple and not tasteful can satisfy them, while I need different foods with more taste for lunch every day! So together with my new plant-based infused vegan diet my lunch boxes got even crazier than before! And I enjoy preparing them every morning! But what I enjoy even more is eating with my Dutch colleagues-their eyes on my great lunch while eating their dry sandwiches! This morning while preparing breakfast I prepared my marinate/dressing for my kale salad. 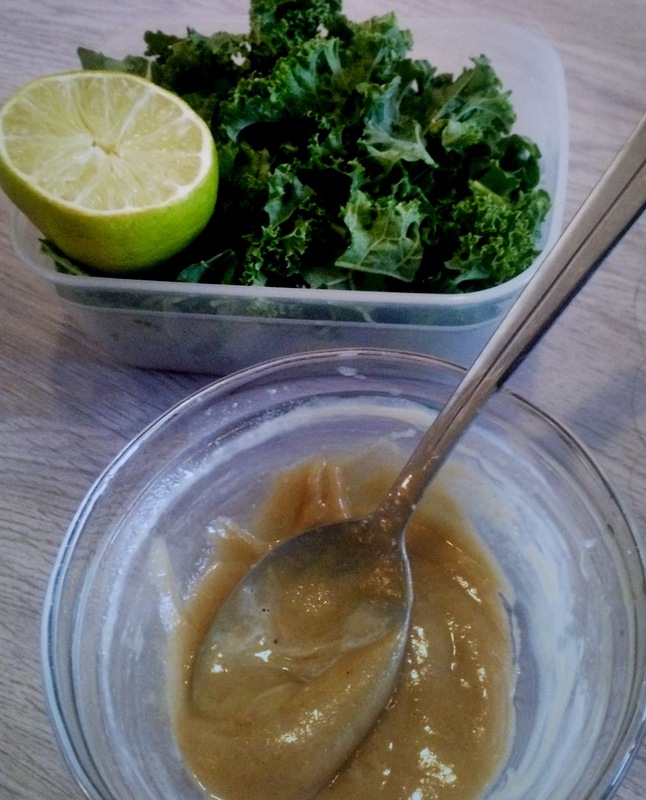 I made my favorite tahini dressing with maple syrup and lime juice! You can find the recipe on my post about dressings! 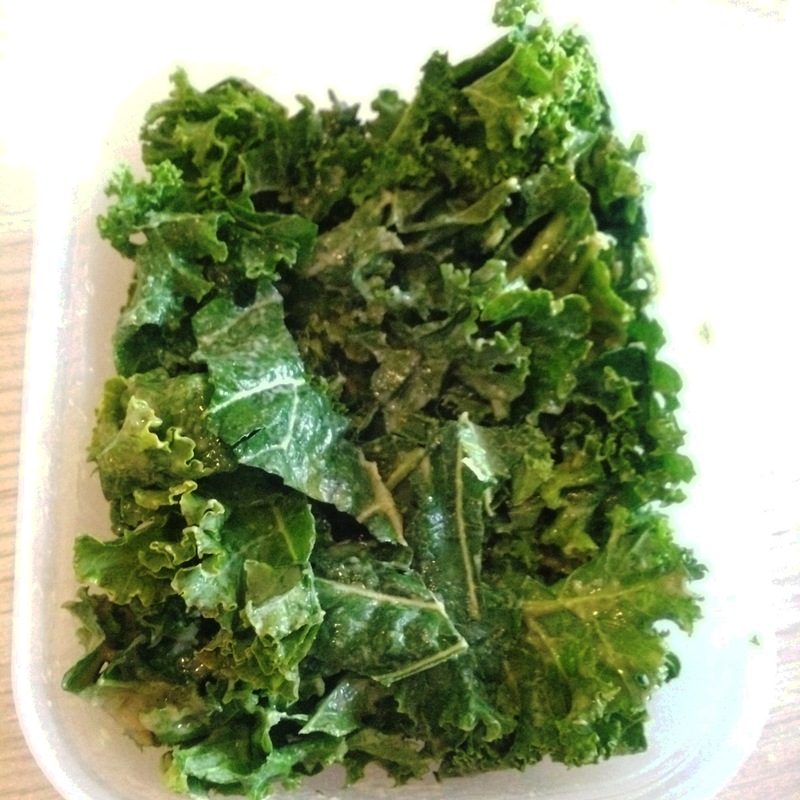 The good thing is kale is pretty hard and therefore it is okay to mix the kale with the dressing in the morning already, so the kale can soak all the great flavors until noon. I marinated the kale, put it in my lunch box and chopped all other ingredients I wanted on top of it!